Our offices are centrally located in Bergisch Gladbach and are easily accessible by car, bus and train. 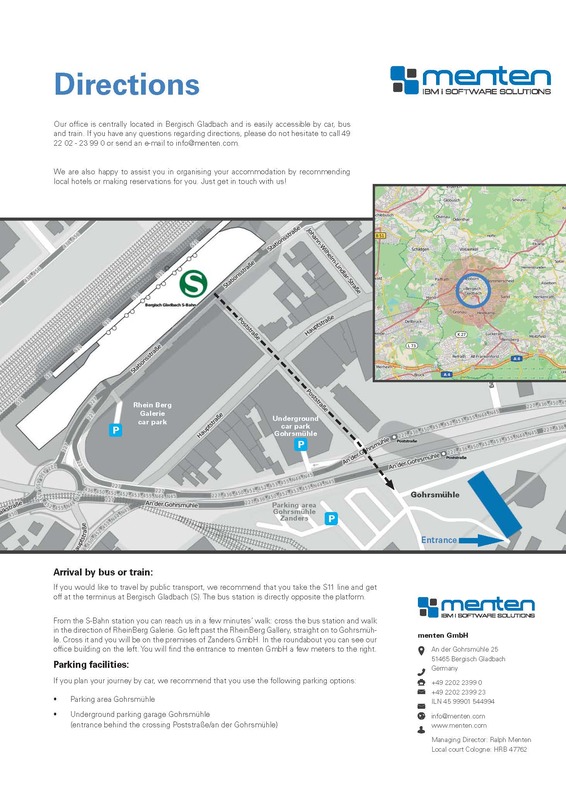 If you have any questions regarding directions, please do not hesitate to call (+49) 22 02 - 23 99 0 or send an e-mail to info@menten.com. We are also happy to assist you in organizing your accommodation by recommending local hotels or making reservations for you. Just get in touch with us!